Confessions of a Dangerous Mind: "Changing the future. It's called marriage." "Changing the future. It's called marriage." I can't believe it took me this long to discover Doctor Who. I'm no Anglophile (far from it as a fact) but I have to say though, the Brits made some damn good TV. I only started watching Doctor Who maybe two years ago with David Tennant as the Tenth Doctor. I think one of the first episode that I saw had the Daleks in it and as with all TV shows that get me hooked, the only reason why I stopped at the Doctor Who while channel surfing was because I couldn't believe how low budget the sci-fi looked but I am hooked for that very same reason, among others -- excellent stories (I love stories where I can predict what would happen next: I mean, Rory the Centurion? Seriously? ), time and space travel, multi-dimensional characters that you want to root for and thought-provoking discussions on themes such as good vs bad, right vs wrong, power, love, happiness, companionship and so much more. I LOVE DOCTOR WHO. 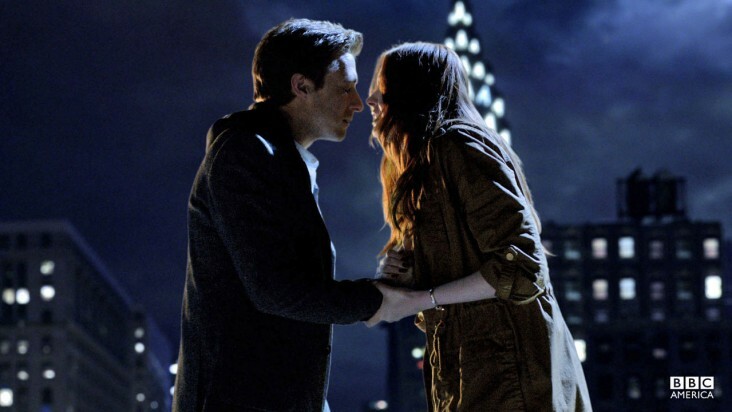 I'll always be a fan of Tenth Doctor and of Rose Tyler -- helps that I'm a sucker for tragic love stories -- and it took me a while to get used to Matt Smith as the Eleventh Doctor. When he first appeared (in a fez! ), I was like, "He looks weird. His eyes are too deep set. Give me my Tenth Doctor back, nooooooooo!" But after three seasons, I'm beginning to really like Matt Smith and his take on the Doctor Who. I think because he is the youngest ever actor to play the Doctor (he's my age! ), he gets away with a lot of quirky things and you know me, I love anything quirky. While Tennant's Doctor was a lot more intellectual (oh those glasses! ), Smith's Doctor has a somewhat sad playfulness of an old soul in a young body that's so easy to love. "What do you think you're doing?!" The quote makes a lot more sense after you've seen the episode and that's where the image above is from. No spoilers here, but I have a feeling there will be tears come Christmas Day when the season continues.